It was a cold dark stormy evening, amidst the strong thunder and lighting , suddenly there was s growl, and it grew stronger and stronger…err..it was only my stomach growling lahh..
Wikipedia Lim spoke highly of Sin Chua Kee , smacking his lips as he mention the beer pork ribs and with a reminder – go early, best to be there by 6, if not, be prepared for a long wait… as the clock was already showing 6:45 pm-I wasn’t so keen to go to SCK , but considering that it was a rainy day – not that many people might ( should) be out guarr, with that in mind we headed towards Taman Lian Hoe. One comment I would like to make is that the lady who took our order was very pleasant…like this maaa…service with a smile, you happy, I also happy! 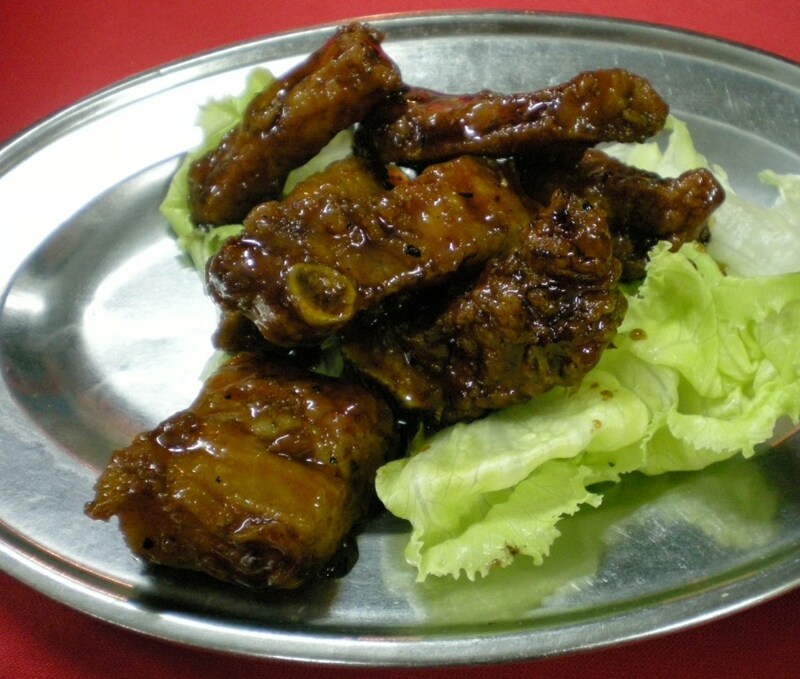 We ordered Assam fish ( house special) , beer pork ribs and also one vege, smiling lady also recommended the house special tofu, but we decided not to be greedy and stuck with the 3 dishes. While we were waiting and looking at the food at the other tables, saw that most of them ordered steam fish ( not asam fish worr) and also pork ribs. A chap came around our table and asked if we want some good quality/ guaranteed good, durian…err…does this mean we are in for a long wait ? It didn’t took that long for the dishes to arrived ( another plus point) . 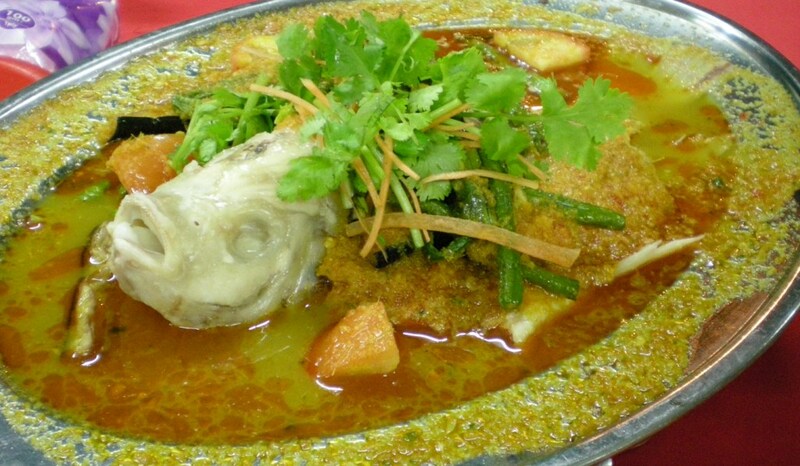 The Asam fish arrived, covered with parsley leaves , there were long beans and pieces of tomato too. 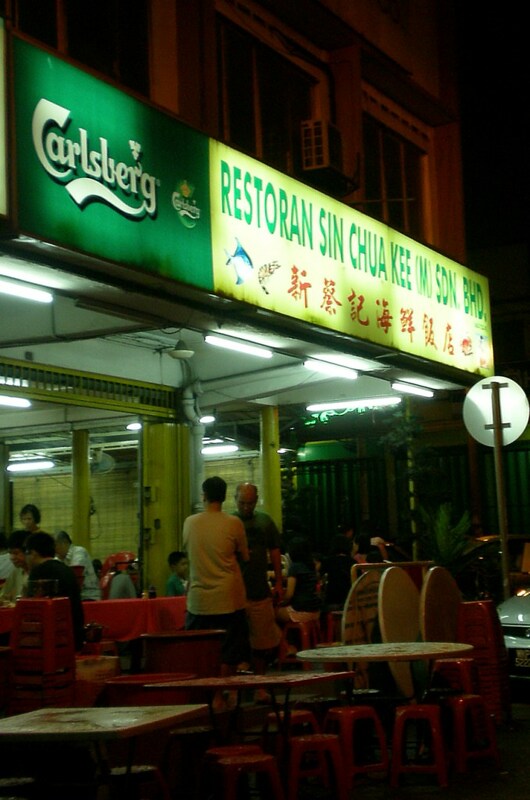 And the taste..Oh la la..yummy, the fish was fresh and cooked just nice and and the asam gravy..ahh… perfect .. The pork ribs…what can I say about the pork ribs except that it was very good pork ribs, they were deep fried and covered in some thick sticky gravy, the flesh came away easily with each bite, the meat wasn’t dry and didn’t stick to the bones, and I really really really wish there were more of this.. 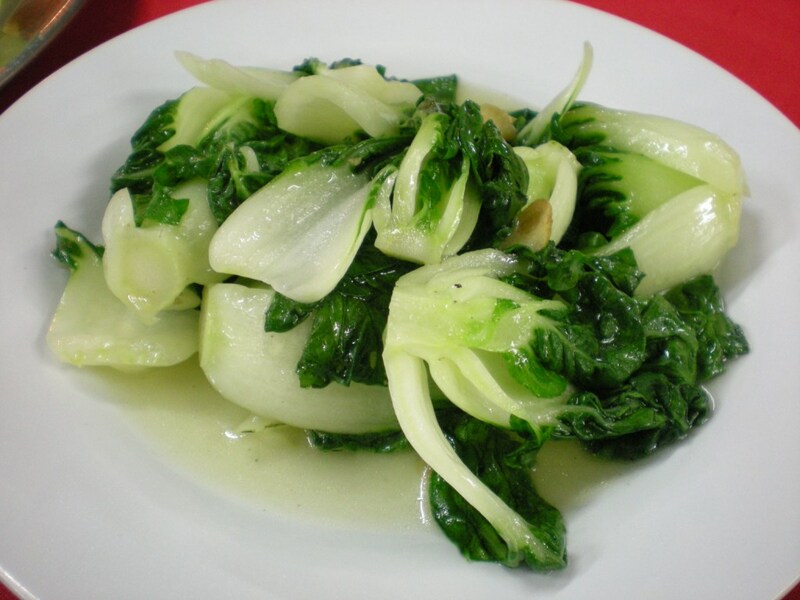 The stir fried vege with garlic was tasty, the vege was succulent and not overly cooked ,this simple dish was a good compliment for the ribs and fish both of which had pretty strong flavours. The meal, plus 2 rice and a pot of chrysentimun tea cost us ~RM45, which was quite reasonable for a very satisfying meal. 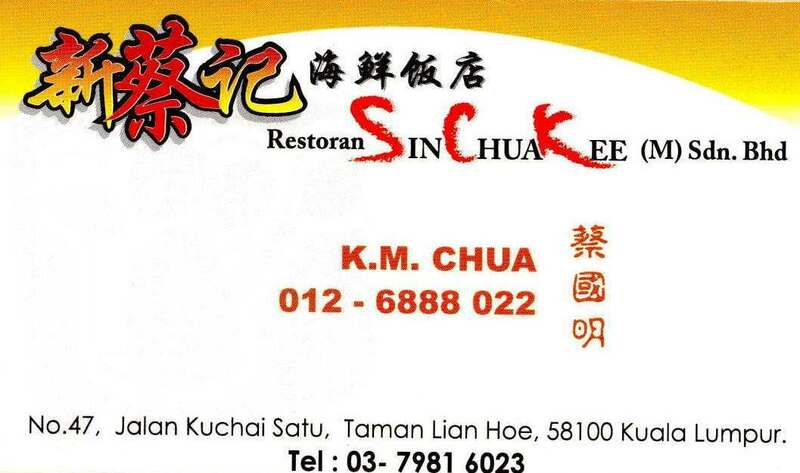 Hoorahhh for Sin Chua Kee ! 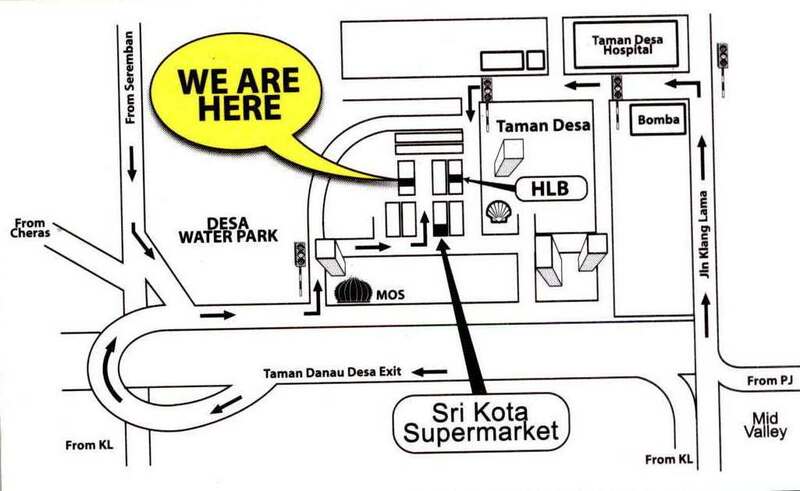 Head towards the Old Klang Road Market, turn into road leading to Jln Kuchai Lama, about 500m away ( FYI i am a bad judge of distance, so don’t take my word for it :P) look out for SCK on your left ( row of shop houses on a small slope). 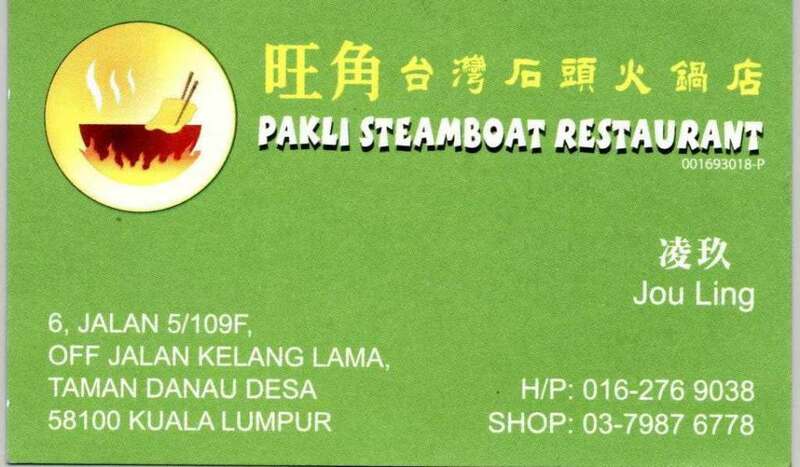 Pakli is a place where you can enjoy steamboat minus the sauna , minus the noisy crowd. There are 2 different seating arrangements, you can sit at the counter, where each person will get their individual ‘pot’ (good for purist , who does not like the seafood to mix with the pork or the beef to tango with the lamb or those that do not like other persons’ chopsticks poking into their meals ) or, you can sit at the tables, where it’s a matter of ‘one for all, and all for one’ i.e. everyone get to share-share, kongsi kongsi one big ‘pot’ . There are a few sets available : the standard set ( RM13.80), Pork set (RM 18.80), Lamb, Beef or Seafood set ( RM 29.80) , or you can also order the 2-in-1 ; Seafood + Beef / Seafood + lamb / Seafood + pork. 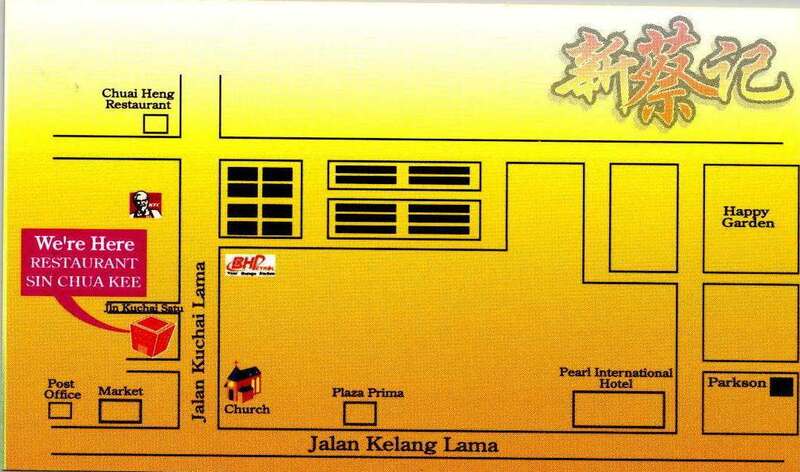 There are also side orders like : pork, lamb, prawn, sotong, fish dumpling, vegetable, sweet corn, golden mushroom etc. We opted for 1 standard set and 1 pork set. 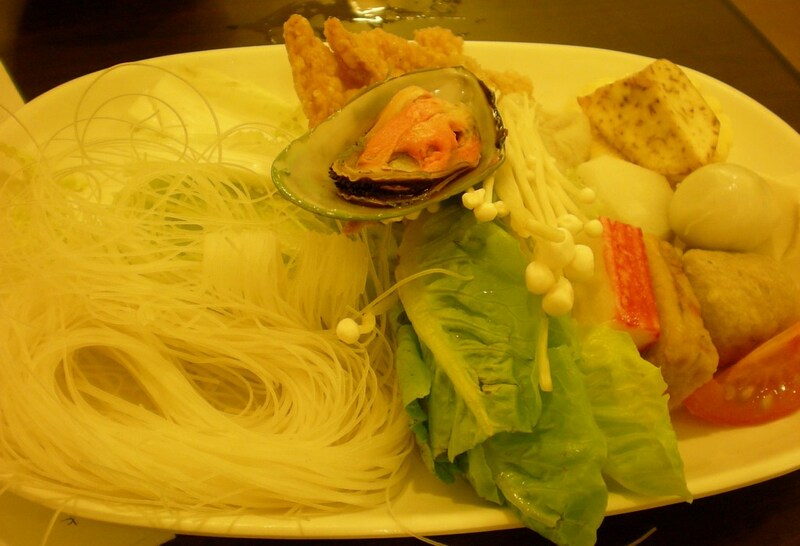 For the standard set : you get filament stick, various types of fishballs, one mussle, slices of yam, Chinese cabbage, bee hoon, tofu, corn, golden mushroom. 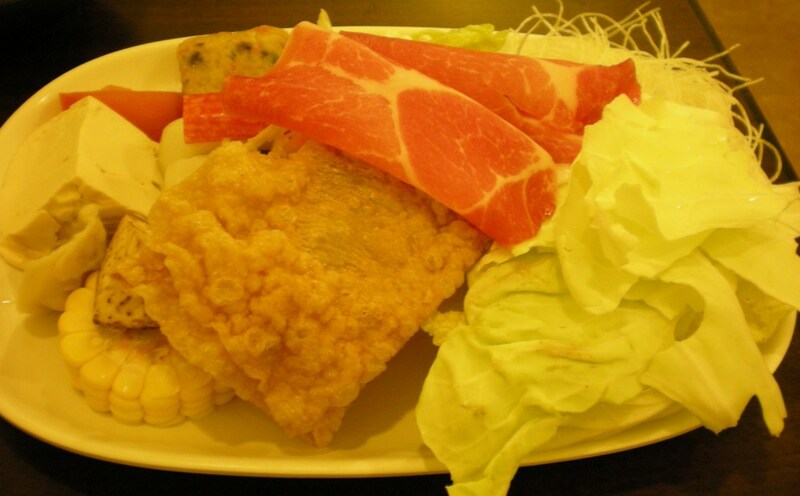 For the Pork set – you get the standard set ( as above) + slices of pork . You also get an egg for each set. 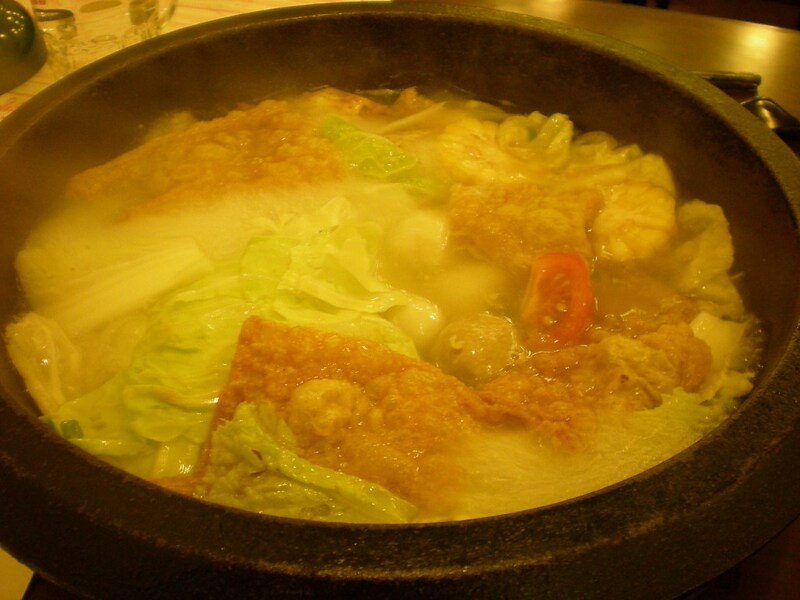 The waitress came over, light up the fire beneath the pot, and when the pot start to sizzle, she add some oil , fried the garlic and added some cabbage, after a few swirl of the ladle, she poured some soup into the pot and it’s our turn to take over the cooking . After we have finished cooking / can’t find anything left to cook , the waitress came by and asked us if we want porridge. We nodded and she came back with a bowl of rice, pour the rice into the pot, add more soup and broke both the eggs into the pot and continuously stir the contents. 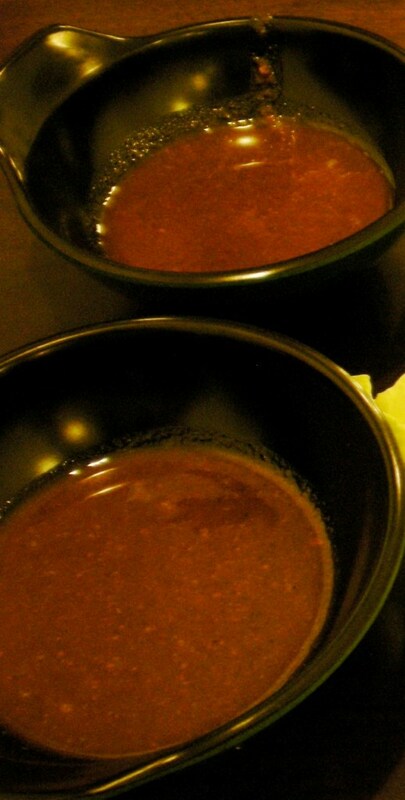 The rice soaked up the sweetness of the soup and the resulting porridge was pretty yummy. Il Divo- 4 good looking guys in Armani suits, singing operatic pop vocal style. 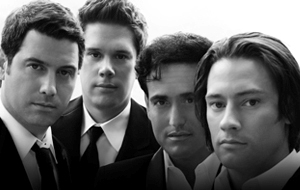 From Wikipedia – Il Divo means divine male ( performer) Their official website is here . The pix below is copied from the official website (ahhh..so good looking one ).